Ladies and gentlemen, it's time to give back to your community! 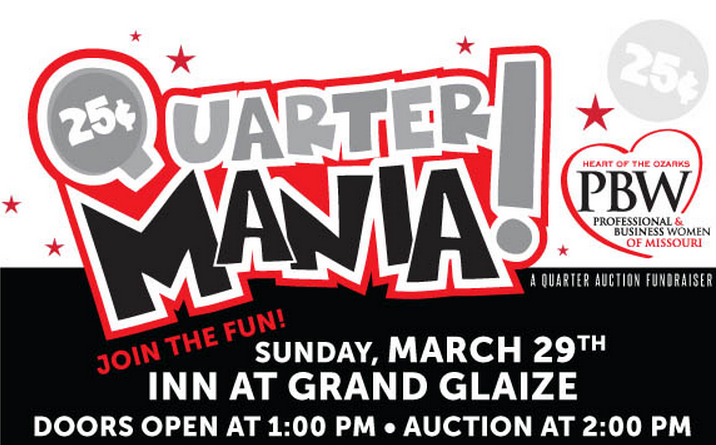 The Heart of the Ozarks Professional & Business Women Association is hosting their big annual fundraiser, QuarterMania!, on March 29th, 2015 - and your local real estate agents at the Lake of the Ozarks hope to see you there! QuarterMania! This is the second year for QuarterMania!, the main fundraiser event for Professional & Business Women. Proceeds from this annual event will fund scholarships for Lake Area female non-traditional students. They will also fund donations of at least $2,000 given to charities benefitting local women every December.